In the first post, I argued that Augustinianism and Molinism can equally well accommodate comprehensive divine providence and God’s knowledge of counterfactuals of creaturely freedom, both of which the Bible clearly affirms. I observed that if Molinists wants to argue that their position is more biblical than the Augustinian position, they need to identify some proposition p that meets two conditions: (i) p is affirmed by Molinism but denied by Augustinianism, and (ii) p is affirmed or clearly implied by some biblical teaching. In the second, third, and fourth posts, I considered three candidates for p: first, the proposition that moral freedom is incompatible with determinism; second, the proposition that God desires all to be saved; and third, the proposition that God is not the author of sin. In none of these three cases, I argued, does the candidate p meet conditions (i) and (ii). Since we’re talking Calvinism and compatibilism, let me mention that Paul Manata and I just had an article on those issues published in the Journal of Reformed Theology: “Determined to Come Most Freely: Some Challenges for Libertarian Calvinism” (details here). 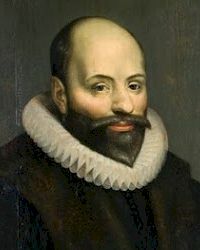 It is commonly held that Calvinism is committed to theological determinism, and therefore also to compatibilism insofar as Calvinism affirms human freedom and moral responsibility. Recent scholarship has challenged this view, opening up space for a form of Calvinism that allows for libertarian free will. In this article we critically assess two versions of ‘libertarian Calvinism’ recently proposed by Oliver Crisp. 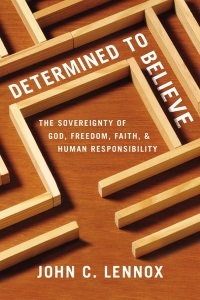 We contend that Calvinism (defined along the confessional lines adopted by Crisp) is implicitly committed to theological determinism, and even if it were not so committed, it would still rule out libertarian free will on other grounds. WCF’s statements about God’s attributes and God’s eternal decree imply theological determinism and thus rule out libertarian free will (since libertarianism, on standard definitions, entails that determinism is false). Libertarianism is motivated by the ‘ought’ implies ‘can’ (OIC) principle, but WCF implicitly rejects OIC, thus undercutting a major motivation for libertarianism (and thus for LC). WCF 10.1 straightforwardly affirms compatibilism by asserting that God determines that the elect freely come to Christ. Since libertarianism entails that compatibilism is false, LC is internally inconsistent. We conclude the paper with a brief assessment of the prospects for libertarian Calvinism more generally. Calvinism makes the problem of evil even more intractable. Calvinism implies that God is culpable for the sins of his creatures (the “author of sin” objection). Calvinism undermines human moral responsibility by denying free will. They aren’t completely independent objections, because the first is typically predicated on the second and third, which means that the latter two objections are the linchpins of the philosophical case against Calvinism. So are these objections decisive? Far from it. 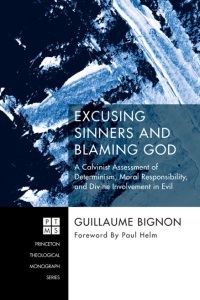 They’ve been rebutted in various places over the years, but nowhere more directly and rigorously than in Guillaume Bignon’s new book, Excusing Sinners and Blaming God. If God determines all things, including the evil actions of his creatures, doesn’t it follow by irrefutable logic that God must be culpable for those evil actions rather than the creatures? Au contraire, argues Calvinist philosopher Guillaume Bignon in this engaging yet rigorous work. Conversant with state-of-the-art literature on free will, this is one of the best defenses of theological compatibilism available today. If we want to show that Molinism has better biblical support than Augustinianism (or vice versa) then we need to find some proposition p which is affirmed by Molinism and denied by Augustinianism (or vice versa) such that p enjoys positive biblical support (i.e., there are biblical texts which, on the most natural and defensible interpretation, and without begging philosophical questions, assert or imply p). In the next few posts I want to examine three potential candidates for proposition p from the Molinist side: (1) that incompatibilism is true; (2) that God desires all to be saved; and (3) that God is not the author of sin. Incompatibilism: genuine freedom is incompatible with determinism. Freedom: we make (at least some) genuinely free choices, i.e., choices for which we can be held morally responsible. These two claims together entail that determinism is false, but since compatibilists typically agree that we make genuinely free choices, it’s the first claim which really distinguishes libertarians from compatibilists. One of the classic “proof texts” for middle knowledge also seems resistant to Augustinian/Calvinistic reading and to favor libertarian freedom. Matthew 11:21 says: 21 “Woe to you, Chorazin! Woe to you, Bethsaida! For if the mighty works done in you had been done in Tyre and Sidon, they would have repented long ago in sackcloth and ashes. On Calvinism, irresistible grace (a.k.a. modernistic regeneration or effectual call) determines conversion, such that anyone given God’s irresistible grace cannot resist and will repent. Further, without irresistible grace, no one can convert due to their depravity. From the verse, we know the people of Chorazin didn’t repent, but the people of Tyre would have repented had the same might works been done there. Tyre was notoriously sinful, so the comparison is to shame the folks of Chorzin – they really had a great opportunity to repent, so their choice to remain in sin was more wicked than the folks of Tyre. Yet on Calvinism, God was not given the folks of Chorzin the one and only thing that He knew could enable and cause repentance: irresistible grace. This alone is problematic and seems disingenuous. But there is another problem with regards to the folks of Tyre. Neither the people of Chorazin and Tyre actually repented. On Calvinism, we could safely conclude neither were given irresistible grace, because had they being given irresistible grace, they would repent. But the verse gives us the counter-fact: the people of Tyre would have repented, given the same might works. So how is it that Tyre would have repented without irresistible grace? On Calvinism, we are left with the contradiction that irresistible grace both is and is not necessary for repentance. To avoid the problem, some might say the repentance is not true repentance. But Christ preached about true repentance: repent for the Kingdom of God is at hand! He never uses “repentance” as false repentance and He always denounces any outward pretense of conversion and He exposes any self-deception and false assurance. Further, it invalidates (probably inverts) Christ’s main point of saying the folks of Chorazin were worse than the folks of Tyre. It’s better to refuse the Lord’s supper than to partake in pretense, it’s better not to know the way of righteousness than to know it and turn from it and so it’s better to live in open sin than with a false repentance. So if the repentance is a false repentance, the folks of Chorazin are better than the folks of Tyre, because they avoided false repentance. But that’s the opposite of Christ’s point. The better solution seems to be to deny grace is irresistible and say man has libertarian freedom with respect to resisting God’s grace. It’s a truly terrible title for a post, I admit, but I just couldn’t resist. Sorry. Anyway, on to the substance. In 2011 Wesleyan philosopher Jerry Walls published an article, “Why No Classical Theist, Let Alone Orthodox Christian, Should Ever Be a Compatibilist,” in Philosophia Christi. A compatibilist is one who holds that freedom is compatible with determinism (in this context, divine determinism). Walls’s arguments are targeted primarily at Calvinists, who typically endorse a compatibilist view of free will (and rightly so). Variants of Walls’s criticisms are pretty commonplace among non-Reformed Christian philosophers (hence the “Co” of the title). Philosophy matters, because theology matters. It’s encouraging to see this important issue debated with respectfully but rigorously in the pages of a peer-reviewed philosophy journal.